"the Perfect eye catching jar"
COMMENTS: This is the coolest jar I've seen! My sugar scrubs, and whipped soaps look amazing in these! The unusual shape really catches my customers eye. "These jars are perfect for my sugar scrubs!" COMMENTS: I love the shape of these jars and the fact that they are clear and show off my beautiful pink sugar scrub. They come with caps and are very tight fitting. 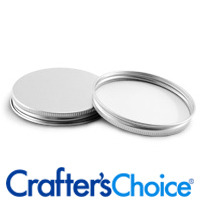 COMMENTS: These were cute little jars that were pleasantly priced on the more affordable end. I also like how unique they are! I haven't come across many like this one. COMMENTS: Very professional looking. No leaks and very sturdy. "Love this container for my scrubs!" COMMENTS: I have used this size container for years for my scrubs. It looks great and is perfect amount. COMMENTS: I purchased these in bulk as they make my body creams and scrubs look wonderfully professional and they are wonderfully sturdy. Highly recommended! COMMENTS: I love these jars for scrubs and butters, they have a wide open for easy access to product. they look great with clear labels and kraft labels. COMMENTS: These jars are great looking but are a little trickier to fill and/or get product out if while using. Very classy looking though! COMMENTS: I absolutely love these jars! I use them for my bath soaks and I love that they look classy and its easy to pour product out. COMMENTS: These make my body butter look amazing! Stunning design! COMMENTS: These have quickly become my favorite jars for Scrubs. 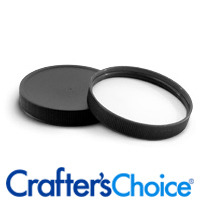 They are lightweight, and easy to access the products without getting cramped fingers. Create a professional look and overall improve how my product looks definitely will keep these as a regular. COMMENTS: I love the style of these containers! I use these mostly for my sugar scrubs. Very sleek and classy. 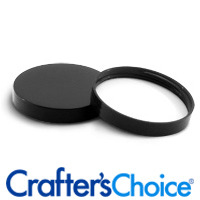 COMMENTS: I love the size and look of these jars and they are great quality! I will be ordering these again and again! COMMENTS: I liked the shape of these...something a little different for my body cream. Paired with the metal lids they looked nice. COMMENTS: I really like these jars. The opening is large so you can get your fingers or spatula in to get to product. It also makes it nice for filling. COMMENTS: This container looks great with my handmade whipped body butter. The shape is cool and gives the product a professional look. It is tall enough to fit a label that can hold a large font so that you can fit the product info without having to use really small font that is hard to read. COMMENTS: Love the shape and design of these jars. I even bought the 4 ounce version. Works great for my scrubs and baby creams. COMMENTS: This 8 oz jar is the perfect size and shape for my body butter and my emulsified sugar scrubs. I use the domed lid and with a label, they look so professional. Will definitely continue ordering these. COMMENTS: These jars give a very classy look to my salt and sugar scrubs and body butters. I will continue to use these and will be ordering again. 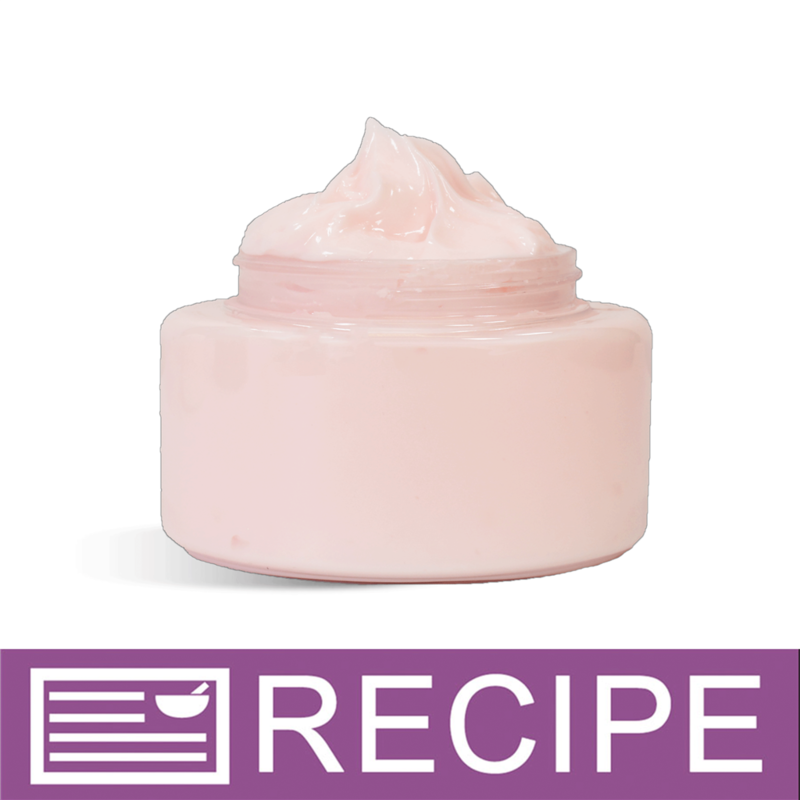 "8 oz Clear Powell Oval Plastic Jar"
COMMENTS: I love these for creams and sugar scrubs. COMMENTS: This container is absolutely PERFECT for bath salts! We have been looking for quite a while for a container that displays and holds our Solar Bath Crystals, and this Jar fits the bill perfectly! The labeling surface is perfect as well! Love the fact that there are so many options for a closure as well. Just all around perfect for our needs! Thank you! COMMENTS: I love the look of these jars, they are very professional looking and also very durable! COMMENTS: These are always great! 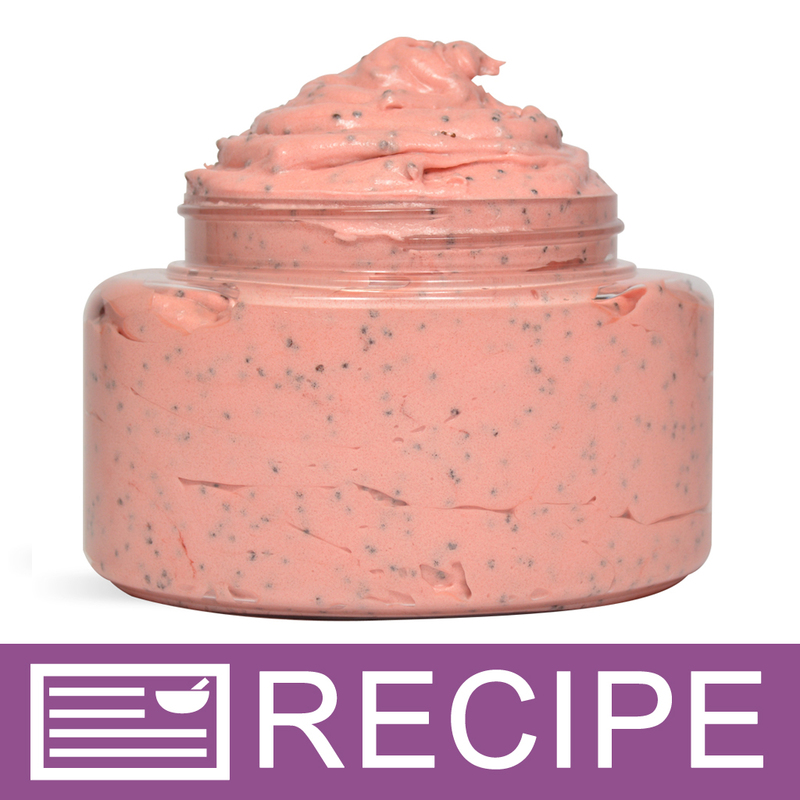 COMMENTS: Product is great for body butters, bath salts, exfoliants, and body scrubs. Love the oval, great packaging. COMMENTS: Durable jar and very appealing. I used them for lotions. COMMENTS: This jar looks exactly as it appears. I really love the shape of it. COMMENTS: Great jars for my body butter. Very strudy feeling and crystal clear. Customers love with ribbed tops. COMMENTS: I love the shape and overall look of this jar. Definitely repurchasing. COMMENTS: These jars fit my 8oz sea salt body scrub perfectly. My scrub is pretty heavy with oil and shipped to customers. I've never had a leak with these jars. They've never cracked. I love the oval shape. I feel like it adds to the uniqueness of my product. I love the clear to show off the different colors of my scrubs. I worried the opening would be too small for scooping out product but it's perfect. COMMENTS: The shape of these jars attracts customers. COMMENTS: The oval shape is unique with a nice opening to scoop out my luxurious product!! "8 oz Clear Powell Oval Plastic Jar - 70/400 "
COMMENTS: I like the unique shape of this jar and the way my salt scrubs look in them. 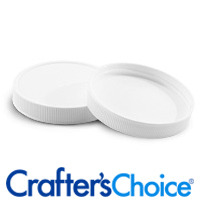 COMMENTS: There is nothing wrong with these but I am going to opt for the round ones in the future because I think it is easier to scoop product out of them. COMMENTS: I love the shape of this jar. I use it for my sugar scrubs. It's just simple and pretty and I love it! COMMENTS: this jar was a substitute for another jar i had been using that was not in stock at the time i was ordering. so i decided to use this oval jar, and it was awesome. my salts and scrubs look so professional and lovely at the same time.this jar is a keeper. COMMENTS: These are sturdy and the oval shape is very attractive. COMMENTS: Looks very professional. Thank you! COMMENTS: It was a little hard to fill because the sides are not straight but the overall look is nice. I will buy again. COMMENTS: I'd been searching for the perfect container for my sugar scrubs that (1) wasn't too expensive and (2) was plastic because I didn't want to use a container that could shatter if dropped in the shower. I finally found them with these containers! They're a unique shape too, which adds a visual appeal to my sugar scrubs as well. 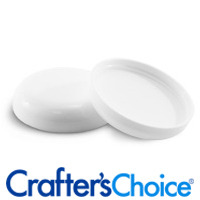 COMMENTS: Love the size and shape of these for my scrubs and body butters. My oval labels look great on these. Will be buying more. "Easy to use the last bit of cream"
COMMENTS: I like the clear oval shape of these jars, they are easy to fill because of the wide opening, you can see how it is filling and amount left in a jar. I prefer these jars over a pump or the Malibu tubes which can be difficult to get the last bit or cream out. Not with these oval jars. They look pretty with lightly colored cream and a black dome lid. I will be reordering these. COMMENTS: Very clear, nice and sturdy product. I use for Body Butters and Sugar Scrubs. COMMENTS: My patrons love the looks of these jars. Initially I used glass jars, but have found these to be so much lighter and easier to transport. Plus, they will not shatter to pieces if dropped in the shower! The wide mouth makes filling them super easy. COMMENTS: I love the unusual shape of this sturdy jar. I originally ordered one jar and lid before committing to a large quantity. I am placing an order today for a large quantity for my body creams. COMMENTS: Love, love, love these jars! My products look awesome, clean, professional. Definate repurchase! "8 ounce oval plastic jar"
COMMENTS: The shape of it is so pretty. I use this jar for my whipped body butters and my customers love it! 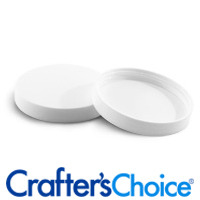 COMMENTS: These 8 oz oval jars are great to get my whips and scrubs noticed, and display my labels prominently. Fantastic! COMMENTS: These look great. Really easy to fill and have a nice weight to them. COMMENTS: I used these as gifts for a wedding party & they turned out to be the cutest thing! I originally used the white lid & then tried the black...looks great with both. I've since used these for scrubs & body butters. They are a great option for offering a smaller size & I just love the look of them. I will continue to purchase & highly recommend. COMMENTS: I use these jars for scrubs and body butters. They give my product a professional appearance and look classy against the other products that I sell. It would be nice if these jars had additional colors for the lids aside from black and white.I use the white lids for butters and the black lids for scrubs. COMMENTS: I like the way this jar looks--it is different, which helps my products stand out. COMMENTS: These jars are the best! Great shape and perfect for my sugar scrubs and bath salts. My customers love the shape and I do too! "Clear Powell Oval Plastic Jar"
COMMENTS: Powell Oval jars have given my body butters that extra flair that makes them very attractive. I wish they came in the 2 ounce size. COMMENTS: This will make your product "stand out". It is a cute, different jar, and it will make your product look like something special. COMMENTS: Love this jar for my sugar scrubs, it's the perfect size and looks very professional. I will be purchasing the larger count next time! COMMENTS: I use these jars for my bath whips and my lotions and they work very well. COMMENTS: Love these small jars . They are the right size. Very nice looking. COMMENTS: I'm excited to transition over to using these for my sugar soap scrubs. The shape is economical to easily store in the shower. COMMENTS: Holds a good amount and has a wide opening for scooping out your scrub. Very pleased. Ordered the whole case last time. COMMENTS: I got this to try out for my Bath Salts. It is perfect. I will be ordering alot more. COMMENTS: I used these for holding scrubs and body butters. The rim is plenty wide enough to scoop out my product. Very professional looking with the dome black lid.
" 8 oz Clear Powell Oval Plastic Jar "
COMMENTS: Easy to hold looks nice in the bathroom and easy to fill. COMMENTS: I love these jars. They look great, especailly with the black dome lids. My bath salts look extra special in them. Not a bad price either. 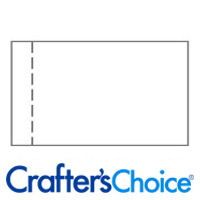 "Great size for specific products"
COMMENTS: Great size for body butters and sugar scrubs. COMMENTS: I live by these jars. Paired with the metal top, I feel like they look a little more expensive that the traditional packaging. My customers love them as well. COMMENTS: I love these plastic jars. Perfect for my bath salts. Unlike the glass jars I used to use these protect against color fading and moisture. COMMENTS: These are beautiful. A little hard to label, but worth it because they are so gorgeous. Very classy! COMMENTS: I use these for everything possible! Bath salts, body butters, sugar scrubs....look fantastic paired with the dome lids. Very professional! COMMENTS: I was worried because I thought the opening may not be large enough to easily fit your hand inside to scoop out product. Once i received them though I realized this was definitely not going to be a problem. I really like the round heavy wall jars also, but these are a great variation for different products. The shape looks great, they're functional, and look nice with both the dome as well as straight lids. "Very Appealing & Professional Look"
COMMENTS: These are the cutest jars. I used them for my body butters and sugar scrubs. The oval shape is very appealing to customers as it makes the product inside look very interesting and professional. The plastic is very clear, sturdy and of good quality. Used these with the black dome lids. Will be purchasing in the 4oz as well. COMMENTS: I use this for sugar scrubs and people always comment on how nice the container looks. It has a nice wide opening which makes it easy to fill and easy for people to scoop the product out of. 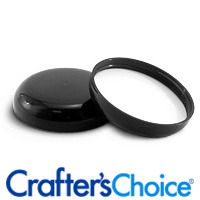 I use the smooth domed black lid and apply 1" x 2.5" labels. It can be hard to find something that is both esthetically pleasing and has great function. COMMENTS: These jars are the perfect size for putting our sugar scrub in. I love the nice opening at the top that allows you to be able to get the product. COMMENTS: This is such a classy looking container, customers are attracted to it right away! COMMENTS: I use these jars for my body scrubs and bath salts. I love the oval design. They are a great product and a great price. COMMENTS: I love this jar! I find it perfect for a variety of products. That means I will be ordering more because I'm not afraid it will be something I will get stuck with. It fits nicely in the hand and is easily accessorized to give a more upscale look. Customers like the larger size. It's at a good price point too for what you get. I hope WSP keeps this just like it is now! • I wish it came in an amber color. COMMENTS: I use these jars for my new line of salted body buffs...and I LOVE them! They have such an upscale look...and I like the fact that they coordinate with my other straight-sided jars but are still unique. I have had absolutely no problems with leakage from these jars...and customers seem to love the shape. "Great product, love the unique shape." COMMENTS: I bought these containers to use for my 8oz body butter and sugar scrubs. Customers love them and reuse them quite often. You can see the product and customers like that. COMMENTS: If you want a unique jar that looks professional and won't break the bank, then look no further! These make my sugar scrubs look really nice. Many people use the standard round style jar for scrubs and this really sets it apart. The jars are sturdy and hold up well. Please don't get rid of these - they are great!
" 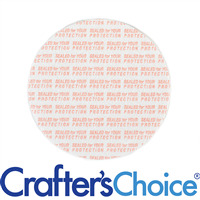 8 oz Clear Powell Oval Plastic Jar - 70/400"
COMMENTS: These are PERFECT! I love the shape! A beautiful container really makes a product look nicer! I love the price, and free shipping! Who could ask for more?? COMMENTS: I use this for so many products. Nice clear veiw of the product. Shatterproof, so no worries about someone dropping it and getting cut. Labeling this is great.Definitely will be ordering this again. COMMENTS: Use these with the dome tops they look so sleek! COMMENTS: I use the standard round jars for everything I carry, so these uniquely shaped jars are a real standout in my display. I use them for my super thick and creamy body butter, and they really convey the difference between my regular lotion and this product. While they can be hard to display because they don't stack neatly like a round jar, people do like to pick them up simply because the jar is unfamiliar. "Looks high end, not your typical "plastic" jar"
COMMENTS: I recently switched over to these jars, and I love them! My customers love them, too! They are uniquely shaped, clear, and very sturdy. I love the look of them, and the functionality. It would be nice if they also came in a larger size, as well! COMMENTS: I use these for my sugar scrubs and I absolutely love them! I love the shape, but the mouth is a bit small. But it's such a cute jar that it won't stop me from getting them! "Perfect Container for Sugar Scrubs!" COMMENTS: My container of choice for sugar scrubs! Perfect! COMMENTS: I use these mainly for Salt and Sugar scrubs as well as bath salts and clients love them, they hold up wonderfully as they are very sturdy, I will continue to order these, they stack great once the lid is on. They do not warp or anything when shipped and labels stay on. I always use Press N Seal liners. COMMENTS: I use this for my sugar scrub with the ribbed white cap. It looks great, and it's practical for the tub or shower. The ribbed top makes it easier to open with wet hands. • Add GOLD, PURPLE, RED, AQUA lids. COMMENTS: Such a nice look filled with body butter. "perfect size for bath salts or sugar scrubs! " COMMENTS: LOVE the wide mouth! COMMENTS: I purchased these for my Body Butters and they are great. Very sturdy. These are at a great price as well. I actually purchased more to hold some loose tea as well as they work great for that too! COMMENTS: These jars are just wonderful. I had the privilege of ordering the 4oz and the 8 oz jars to package my Bath Salts & Body Creams. I think there delightful. COMMENTS: I use it for salt scrubs and heavy creams. Labels look nice on them too. COMMENTS: I love these jars, my sugar scrubs look great in them, customers really like them too! "What size label would you suggest for this container?" Staff Answer The label area for this jar is 1.5" x 4" across the front. The circumference of the jar is 10.75". "How tall is the jar without the "lip"?" Staff Answer Hi Mary - It is about 1 5/8 inch tall for the "flat" part of the jar. "What would be the best size label to use with this jar?" Staff Answer These are great jars! Measuring the jar top to bottom and around - the jar is 1.5" in height and 5.25" around one side. So depending on the label you want, you can use those dimensions or smaller. "What does "Essential Oil greater than 5%: Poor" mean? I use organic essential oils in making my body scrubs, so would the plastic jars be durable?"